Tuition: $125 per Mother + $25 per child, materials included. We’re celebrating the sweetest holiday of the year: Mother’s Day with a super special Mama & Child natural dye class! 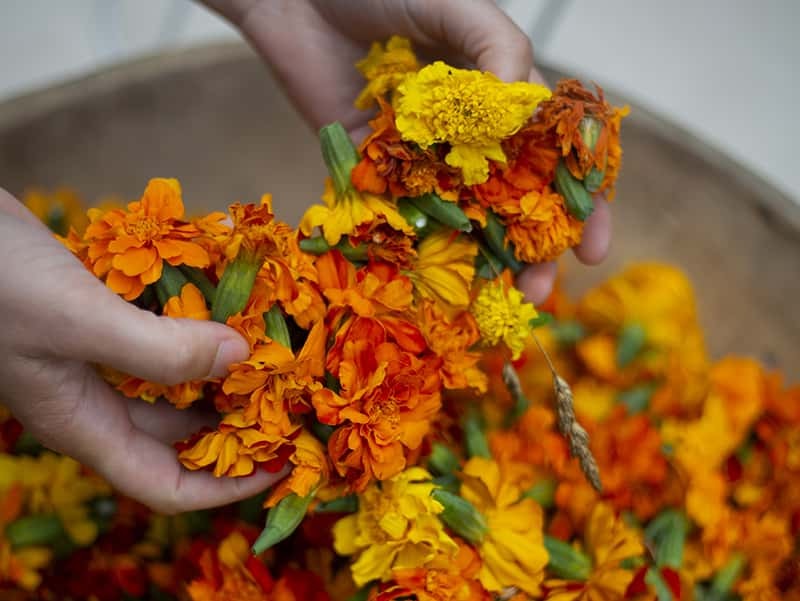 All the steps of natural dyeing will be covered, with lots of hands-on time spent processing non-toxic plants, herbs and flowers. Aromatic plants, and dye plants with healing medicinal properties will be emphasized to fill the day with a little extra magic and soothing scents. Mama & babe will leave with a beautifully dyed and patterned silk scarf, cotton bandana, and lots of pretty wool, cotton & silk samples. Expect extra special snacks & treats in this Mother’s Day workshop. Ideal for children over the age of 6. If you'd like to register for more than 1 child, please email sera@wildcraftstudioschool.com and she'll adjust your registration. $25 per additional child.